Met. 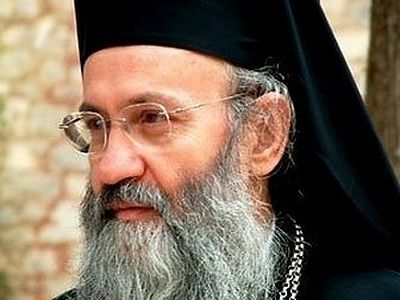 Ambrose of Kalavryta of the Greek Orthodox Church has sent an open letter to Ecumenical Patriarch Bartholomew concerning last year’s council on Crete, the main points of which have been published on AgionOros. In his view, the main result of the “notorious” Crete Council, which was neither holy nor great in his estimation, is that the Orthodox Church has divided into factions, and the Christian flock has been brought to confusion and turmoil. “In fact, a new schism is developing,” Met. Ambrose writes. In his view, especially erroneous was the recognition of the title “Church” for other non-Orthodox Christian confessions in an Orthodox dogmatic statement, which should aim to express the Church’s own self-understanding. “So now there are many Churches? Then why do we confess ‘One Holy, Catholic, and Apostolic Church’ in the Creed? Isn’t this an ecclesiological contradiction, or even a serious dogmatic distortion?” he asks. What is the purpose of the ecumenical dialogues promoted by the patriarch, and justifying calling non-Orthodox communities “Churches,” he wonders. “We will not renounce you, beloved Orthodoxy!” he exclaims. He further calls for the document “Relations of the Orthodox Church With the Rest of the Christian World” to be revised in order to avoid a schism, and for the patriarch to cease persecuting those who disagree with the decisions of the Cretan council, and to hold a new council that would re-consider the question of the relation of the various Christian confession to the true Orthodox Church of Christ. 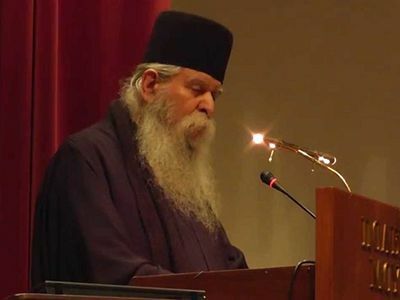 Metropolitan Hierotheos of Nafpaktos, being a member of the Greek Orthodox Church’s delegation at the Crete Council, refused to sign the final document “Relations of the Orthodox Church With the Rest of the Christian World.” At a November session of the Greek Orthodox Holy Synod, Vladyka expressed the opinion that the Crete Council was not properly prepared for and did not represent a council of bishops, but a council of primates and their entourages. 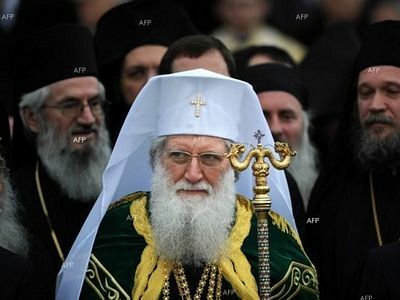 Bulgarian Orthodox Church: Outside the Orthodox Church "there are no other churches, only heresies and schisms" Bulgarian Orthodox Church: Outside the Orthodox Church "there are no other churches, only heresies and schisms"
@Dr Freddie. Greetings of the day! Rejoice my beloved! And many many thanks for taking the time out of what must be a punishing schedule to offer - whatever services you have on offer. Odd you forgot to add your email address so we could get in contact. To the more sober minded Orthodox. I would recommend visiting impakratoras.gr website which has numerous articles on the subject of accursed ecumenism. Educate yourselves before you fall prey to the wolves in our Church. May God bless mitr. Amvrosios. The church needs to take a second look: One Holy Catholic and Apostolic Orthodox Church. If you need a facilitator for your next council, email me. Thank God for leaving us with a few faithful, orthodox membera of the hierarchy.